Charles Hansen’s Solubility Parameters (HSP) first appeared in 1967 and have been adopted by many industries as a vital formulation tool. The HSP approach has been applied to pigments, art restoration, nanoparticles, pharma formulations, agrochemicals, cosmetics, green chemistry and more. They are now more popular than ever, used by industry and academia all over the world, in large part thanks to the HSPiP (Hansen Solubility Parameters in Practice) software, eBook and datasets. Full conference information is available here and registration is available here. To express your interest in presenting a paper or displaying a poster at HSP50 – please email Conference@hansen-solubility.com. Elsewhere on this site you’ll find special items on HSP by Dr Charles Hansen, Dr Stefan Langner, Prof Daniel Schmidt and Prof Dr Dietmar Lerche. 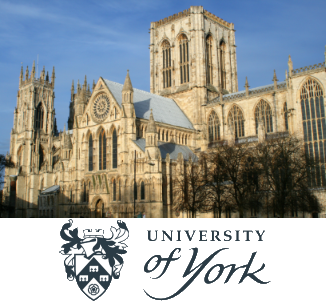 The venue for HSP50 is the Ron Cooke hub on the University of York campus, a short walk from the wonderful historical city of York. The modern facilities will provide the environment for technical sessions, networking reception, poster sessions and breaks. The Grand Conference Dinner will be held at the famous National Railway Museum, a truly memorable venue. The HSPiP team are assisted in promoting and delivering HSP50 by the University of York and iFormulate Ltd.